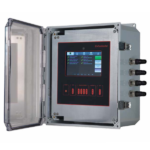 The Q-Controller is a multi-channel controller and alarm unit that utilizes both digital and analog communications to interface with a maximum of 128 remote digital QEL transmitter/sensor inputs, 128 analog inputs, 128 relay inputs, providing 128 analog outputs and 128 relay outputs. 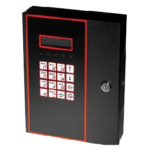 The M-Controller is a multi-channel controller and alarm unit that utilizes both digital and analog communications to interface with a maximum of 32 remote digital QEL transmitter/sensors, and 8 analog transmitter/sensors. 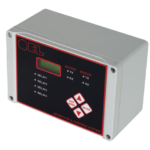 The Q4C is a multi-channel controller display and alarm unit that utilizes digital communications to interface with a maximum of four remote digital QEL transmitter/sensors.